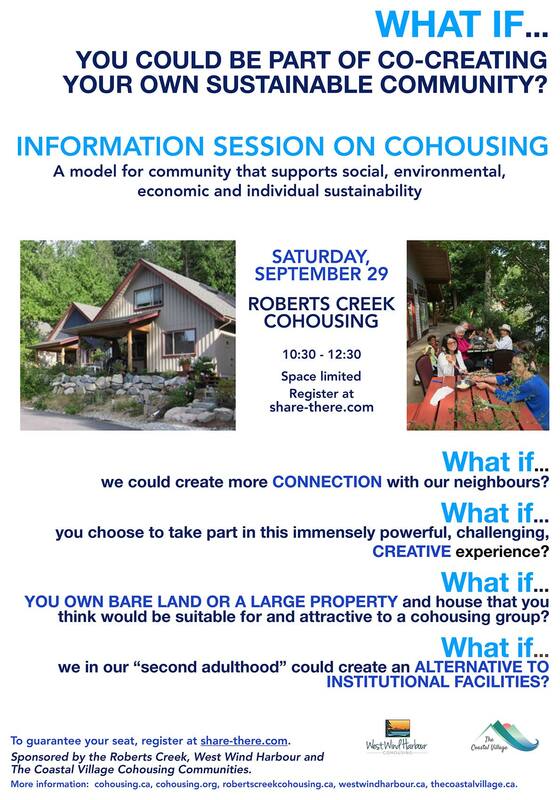 An Information Session on Cohousing hosted by: West Wind Harbour Cohousing, The Coastal Village and Roberts Creek Cohousing. ‘The Coastal Village’ cohousing believes that the time is right for a second cohousing project on the Sunshine Coast. 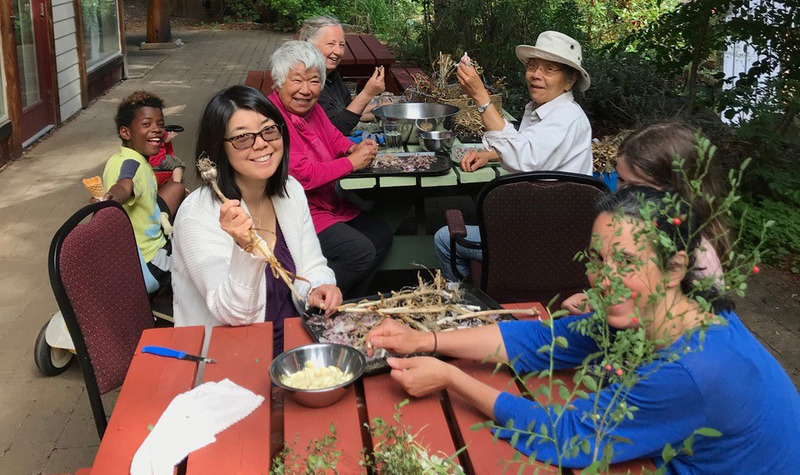 This newly forming project is looking to attract members who share their vision of creating a multi-generational, economically diverse, environmentally sustainable community. Do you have the funds to commit to this 2-3 year project? Will you have the financial ability to purchase a home or obtain a mortgage? Space is limited so REGISTER EARLY for this FREE info. session. UPON REGISTRATION, you will receive information about the exact location of the Information Session, along with with parking details and child care possibilities. We are able to provide on-site child care for 6-8 children, 4 years of age and older. For more information, please contact Marion at arobertson@dccnet.com, Janey at info@thecoastalvillage.ca or Stacia at stleech@telus.net. For further information on projects visit westwindharbour.ca, thecoastalvillage.ca or robertscreekcohousing.ca.